I have a spare Real Techniques Stippling brush at home & as I have a tonne of stippling brushes I thought I'd do a giveaway with it!! So just enter below with a comment either by telling me about your favourite Real Technique brush or just a general comment & you just have to be a subscriber & if you're under 16 please get permission from a parent or guardian! In other news I have officially fallen in love with the Batman trilogy (bit late to the party) & cried my eyes out at the final one, totally obsessed with the new Clarin's 3 dot liner after trying it out today & also lusting after some Neocutis skincare! Haven't tried any of their brushes but would love to! Haven't tried any of these yet, but would love to! Haven't had the chance to try a real techniques brush yet! Have heard so many great things about them thou! Great Giveaway! I love all the Real Techniques brushes, but the powder brush has to be my favorite. It's perfect! Could really use this :) thanks for the opportunity! I haven't tried Real Techniques yet. I haven't tried a Real Technique Brush, so I would love to try this one. I don't even own a Stippling Brush! WOW! Lovely Giveaway I haven't manged to get my hands on real techniques brushes. Thank you for the giveaway! i haven't tried real techniques yet, really want to though! I haven't yet tried any of the real techniques, but I've heard so many good things about this one! I really want to try the real technique brushes this is such a great giveaway. I would sooo love to win this, been wanting to try real techniques for a while! I would really love to try this brush! I love the buffing brush at the moment, but would love to see if this compares! I'd love to try this brush, the hype around it is MASSIVE! Lovely giveaway!I would love to try this brush! I would love to try this brush! 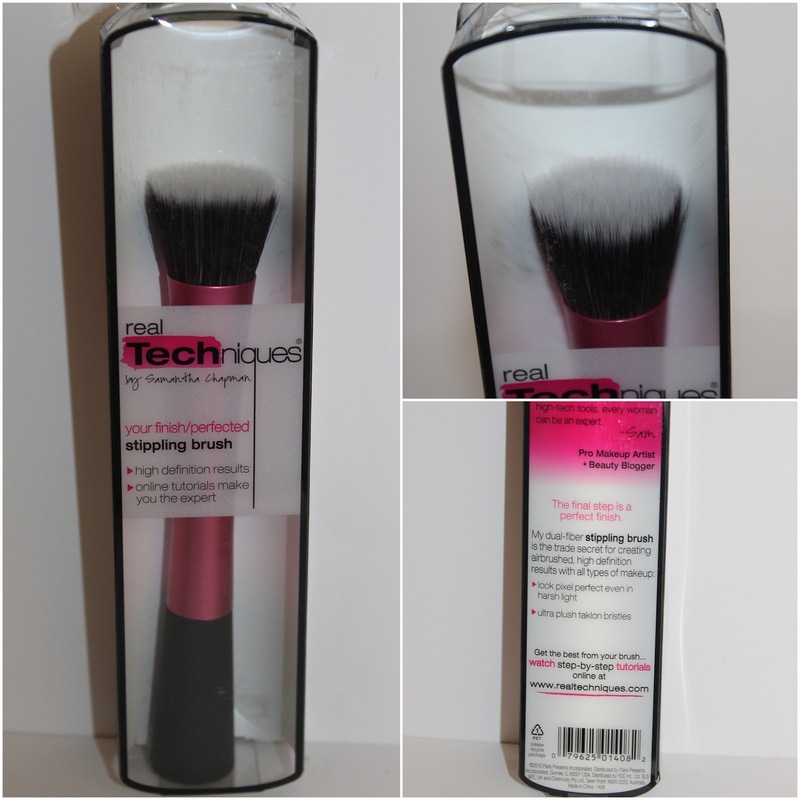 I love their powder & buffing brush! Heard great things about these brushes so would love the opportunity to try! I have really been wanting to try a real techniques brush this would be great! I only own one Real Techniques brush but I love it! It's the blush brush, but I actually use it for powder as it's the perfect shape and EXTREMELY soft! Great giveaway, I'm yet to try out any Real Techniques so this is very exciting! I follow via GFC (Lola and Behold). I really want to try their blush brush, its soo cute! Thanks for the great giveaway, I love Real Techniques right now! I've never tried a Real Techniques brush, but I've been wanting too! I subscribe via Google reader. ----------------- I've never tried Real Techniques, but I've been wanting to ever since they came out! I am yet to try any of these brushes, but all I hear are good things so would love to give one a go. Thats a lovely prize, fingers crossed! I have the Starter set , the brushes are so soft . Deluxe Crease brush my favourite one . Never tried Real Techniques Brushes before. So thanks loads for this giveaway! This brush looks amazing, I'd love to try it out! I've heard such great things about these brushes I'd love to try one for my self! !